Note: Candidates appearing in FSc Part-II / A levels exams can apply on the basis of FSc Part-I (Min 65% marks) / O levels. Candidates twice rejected by GHQ / NHQ / AHQ / ISSB Selection Board or once rejected by ISSB and once rejected by GHQ / NHQ / AHQ Selection Board. Candidates tested within four months (120 days) gap of previous appearance (for Not Recommended candidates). Candidates tested within one year validity period (as validity of ISSB / GHQ / AHQ selection board stands for one year). Candidates declared unfit by Army Forces hospital (CMB / CMH) except those cleared by Appeal Medical Board (AMB). The candidates declared unfit by CMB or CMH will remain ineligible until they are declared fit by Appeal Medical Board. Candidates permanently declared unfit by Appeal Medical Board. Candidates dismissed / removed / debarred from Government Services including Armed Forces. Candidates withdrawn from any bonded Armed Forces Colleges / Institutions or from any Academy / Training Institution of Armed Forces on disciplinary grounds. Candidates convicted in a Court of Law for an offence involving moral turpitude. Candidates who will temper his / her original academic certificates, conceal or give wrong information to gain undue advantage, his candidature will be cancelled and declared permanently ineligible for all types of commissions in Armed forces. Candidates can register on Pak Navy website. 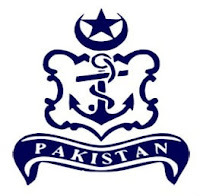 Date and time of test shall be announced on Pak Navy website, for which the candidates should have an e-mail account. Candidates will have to report on exact date and time as mentioned on their slips. Candidates will also bring required documents. Online registered candidates must bring postal order of Rs 300/- in the name of Director Recruitment NHQ, Islamabad. Candidates may report at nearest PNR&S Centres for registration / allotment of roll no along with necessary documents. Intelligence Test (30 min) followed by Academic Test. Candidates will undergo initial medical examination at PNR&SC. Shortlisted candidates will receive call letters from ISSB for ISSB test. Candidates will undergo final medical examination at CMH / Naval Hospital. Final selection will be made at NHQ on the basis of candidates overall performance. 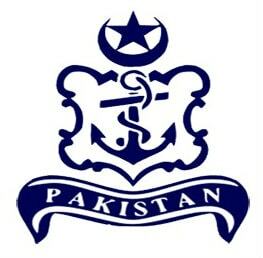 Two years Basic Military Training at Pakistan Naval Academy (PNA).